Fast-growing law firm Newtons Solicitors has strengthened its North East teams with three new appointments. Three new solicitors, who will work out of Newtons offices in Darlington, Stokesley and Richmond, have joined from a North East law firm. 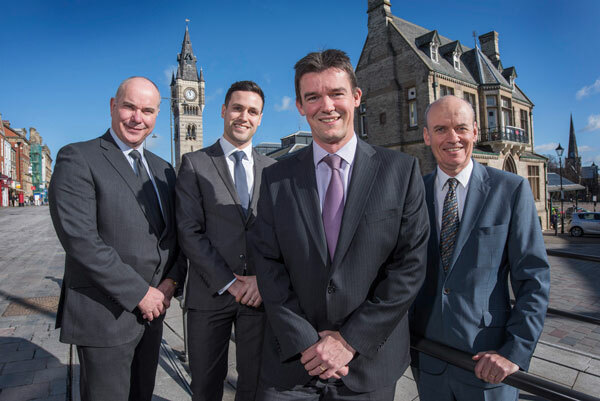 They are Dave Birks, who is appointed an LLP member of Newtons litigation team; his assistant, Mark Reeves, a newly-qualified solicitor and David Lucas who joins as an LLP member in the commercial team. The appointments follow Newtons’ acquisition of long-established Stokesley solicitors, Thorp Parker LLP, last autumn. Newtons Solicitors managing director, Chris Newton, says: “We are thrilled by all these appointments which considerably bolster our presence in the North East. Newtons Solicitors’ group fee income increased from £1.8M in 2013 to £2.6M in 2014 and is expected to leap to £3.7M this year. Newtons Solicitors, founded by Chris Newton and his wife, Sarah, who is also a director, also has offices in Harrogate, Ripon, York, Ilkley, Leyburn and Knaresborough. The group has 13 directors and LLP partners and 38 lawyers.